PPE (Personal Protective Equipment) plays a vital role in preventing the spread of infection, and protective eyewear is particularly important when working in a medical environment or with patients. Infections put both carers and patients at risk so preventing the spread of microorganisms is vital in care-homes and hospitals where residents are already vulnerable to disease. Bodily fluids such as urine, vomit or blood can splash or spill into the eyes, spreading infection, causing alarm and discomfort whilst airborne droplets dispersed from sneezes or coughs can also contain harmful virus bacteria. Medicines and chemicals too can be hazardous to carers so it is fundamental to safeguard against these kinds of high-risk materials with appropriate safety eyewear. 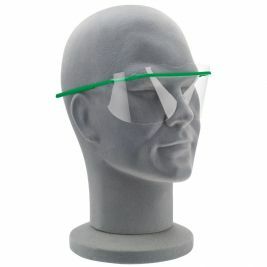 Care Shop ensures that all safety glasses, goggles and face shields including the EYEPROTECT Full Face Visor are manufactured to the highest industry standards to provide reliable protection and fully comply with HSE regulations. All products are designed to be lightweight but robust, with one-piece polycarbonate construction that proves safe and efficient in minimising contamination. 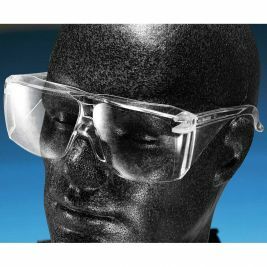 The Kleersite Safety Glasses are straight-forward to use and adequately crafted to give reliable protection so that professionals can proceed confidently whilst Care Shop's selection of Universal Safe View replaceable lenses and frames keep comfort and practicality in mind. 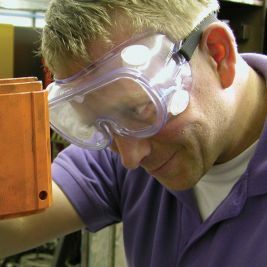 It is important that protective eyewear is completely scratch-resistant and that it has effective anti-fogging and anti-static properties. Poorly-fitted goggles and shields can allow infectious materials to contaminate the wearer so Care Shop have taken time to select a range of quality eyewear which is designed to fit perfectly and be fully adjustable. All eyewear has integral clear side-shields to avoid distortion of peripheral vision, and give maximum protection and comfort. 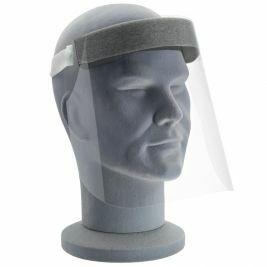 You can also browse our range of approved medical headwear and surgical masks to give the appropriate coverage when caring for someone at work or home.